Blogvember #7: Oh, am I blushing? – This Square Peg. Blogvember #7: Oh, am I blushing? November 7, 2016 Categories Autumn, Beauty, Fashion, Me, Womanautumn, beauty, Blogvember, fashion, makeup, me, style3 Comments on Blogvember #7: Oh, am I blushing? I think the last time I wore blush was sometime in my late teens when I officially got the green light from the Moms to start wearing makeup. Since my abundance of teen magazines provided everything from makeup tips to how to get that guy to notice you (no comment), I basically put everything on my face. Blush, mascara, eyeliner–yes, everything. Thank goodness for time and figuring out what actually worked for me. One thing I decided to part with was blush. My melanin didn’t respond well to it; I rarely found colors and shades that worked. So bye bye, blush. 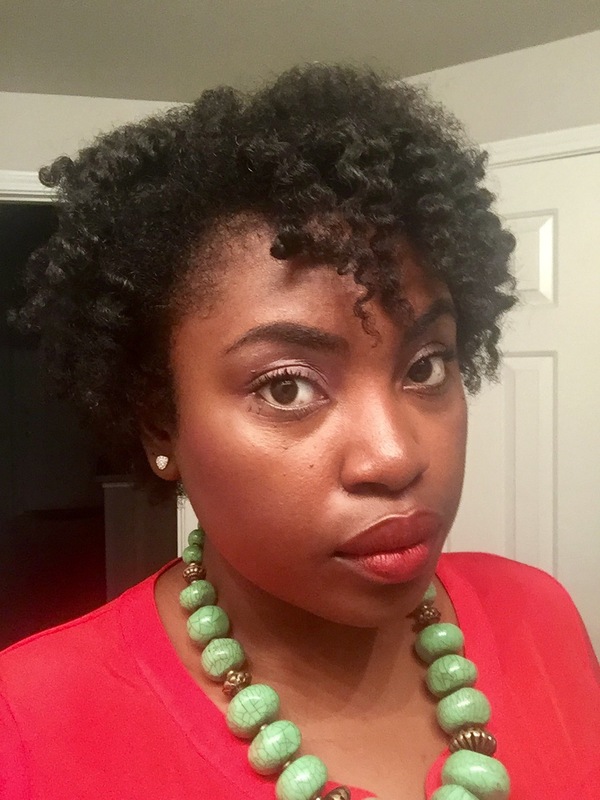 Just recently, however, as I sauntered through the halls of YouTube university, I saw a video by one of the natural hair ladies that I follow; she was sharing her fall makeup routine. When she topped her applied makeup with blush, I paused for a bit. Hmm. We have similar skin tones, I said to myself. Can it be? Can you actually wear blush? Apart from the fact that yes, I speak to myself like a character from Shakespeare (can it be? Why, forsooth, yes it can), I loved how the blush complimented her lovely skin. And quite simply, the color she chose (Black Rasperry by Black Radiance) communicated what I was doing wrong back in the day: I was choosing colors too close to my skin tone, in the fear that a too-bright shade would turn me in your neighborhood clown. But staying in the plum/raspberry family seemed doable. After perusing a thousand stores for Black Radiance products (which have always been good to me), I finally found the Artisan Color Baked Blush in Raspberry. I wore it last night to my house of worship. See below. Needless to say, I fell in love with my blush last night. I thought it was a wonderful blend of understated and lovely, providing a pop of color to my face that I really liked. So it’s a keeper, ladies and gents. Makeup is all about adventure and experimenting, no? I declare this latest addition a winner. 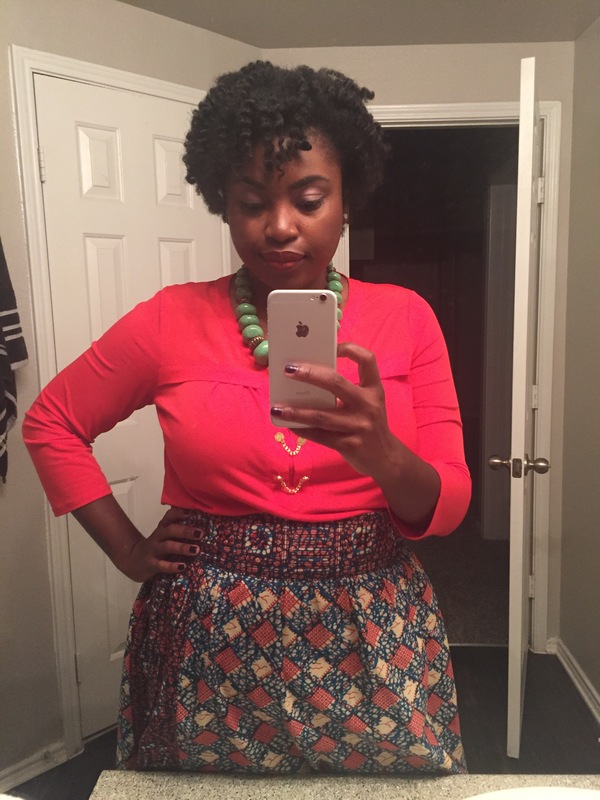 The necklace was a gift from the bestie, the blouse from Ross, and the high-waisted African print skirt was sewed by my talented Mama. Very pleased with the overall look. So you out there: are you a blusher? What are your favorite brands?